There is no substitute for healthy living. Either unconsciously or not, each has his interpretation of this rule. Health, in its truest sense, is not just confined to diet. Health connotes more than just freedom from illnesses. Health is the totality of how one appreciates his being and gains positive self-evaluation while putting conscious efforts to take care properly of one’s body. 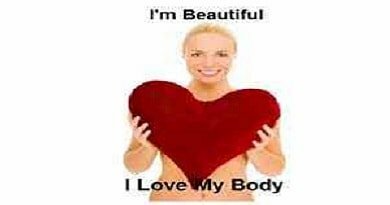 Here is a list of tips to gain, if not to maintain, a healthy and positive body image. A basic tenet of contentment is the ability to accept one’s self. Who you are, your past, where and to whom you’re born are beyond your choices. Your capabilities, though honed through time and experience, are uniquely your own. There is too little you can do with what has been given you the most is to accept the truth that there is no one like you. This is precisely the starting point of becoming the person you’re best of. 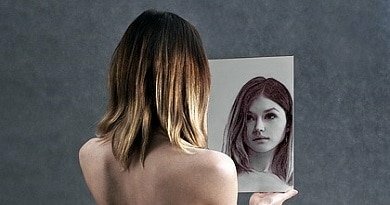 To fully accept yourself – your accomplishments, skills, abilities, and even failures – gives enough confidence of your uniqueness. This is essential to have a positive image of who you are. The foundation of whatever becomes of you is in knowing the truth, accepting and making the best out of it. Just like in any form of relationship, listening is important. What does this mean? There are instances when you need to accomplish much within a given time frame, ignoring the fact that your body gets tired and wasted. There is a need to pay attention to your physical being, especially if a compromise is at hand. Although you have the will to achieve so much, this will go to waste when health is at risk. To exchange good health over stress and pressures is fatal. Since grade school, exercise has been reiterated by our parents and mentors. No scientific explanation discredits the habit of regular exercise. Regular exercise not only improves bodily processes but also releases toxins out of the body and conditions it every day for the needed workload. Exercise is fundamental towards a healthy body image as physical built, and stature is enhanced by habitual routines. There is no substitute for proper diet in maintaining a good body image. Not only does this promote physical health, but it also facilitates self-esteem. Healthy foods mean sufficient doses of needed nutrients every day. Fruits and vegetables are a given. Cereals and other carbohydrate sources have to be included in daily meals for energy and sustenance. When healthy eating is practiced, the body manifests regarding increased immunity against diseases, less stressful life and an increased level of mental alertness and esteem. Stop comparing yourself with others. A major cause of disappointment is the comparison with others. Before you knew it, you have already gone through the unnecessary tension and stress of dissatisfaction. This is very unhealthy, as it disrupts your normal thinking and arouses negative emotions. You are unique. No one can copy exactly another person’s life. Accept the truth that there will always be “greater and lesser persons than yourself,” as a famous poem state. Comparing is never a solution; it only drags you down. Is My Low Self esteem Ruining My Relationship? Comments Off on Is My Low Self esteem Ruining My Relationship? 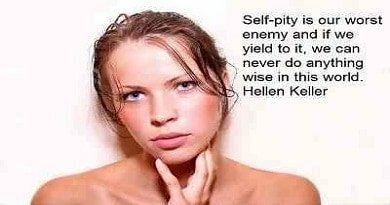 With self-pity you live paralyzed , it keeps you in a helpless situation. Know the difference between sorrow and self-pity. Comments Off on What is Sleep Apnea?